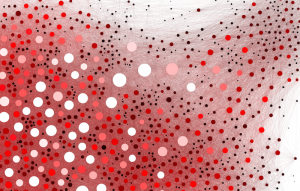 Martin Grandjean » Digital humanities, Data visualization, Network analysis » [Network analysis] Digital Humanities on Twitter, a small-world? 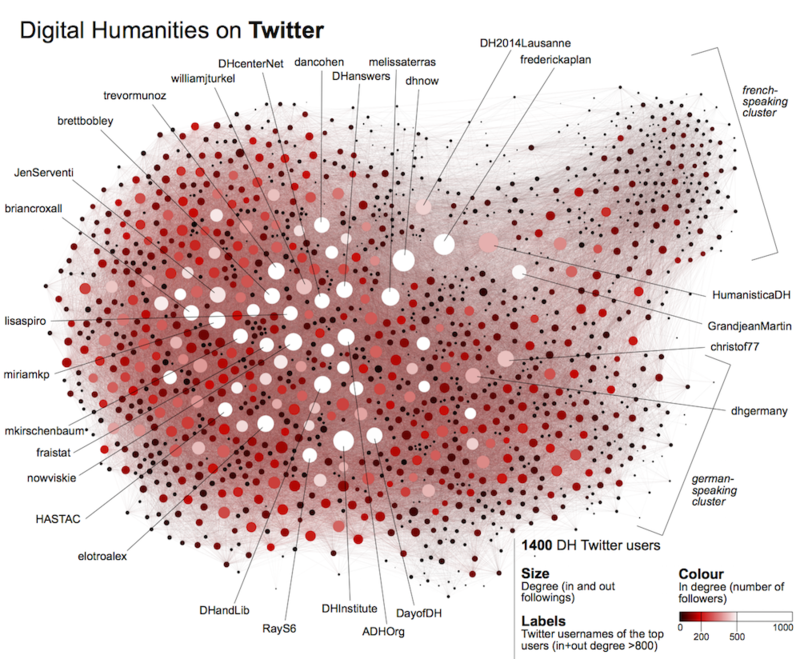 Share the post "[Network analysis] Digital Humanities on Twitter, a small-world?" Notable positions are occupied by the same users than in the previous analysis (2014). 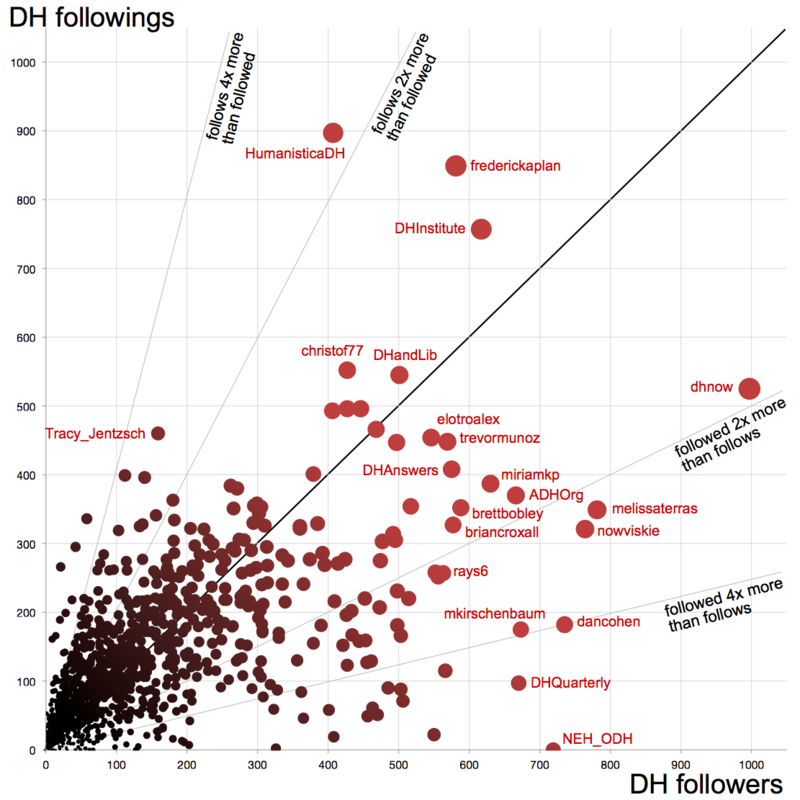 The most followed account, @DHnow, is followed by 997 digital humanists and follows 525 of them. Most of these notable users are in the lower right part of the plot, since they are followed by more other list members than they follow themselves. The different uses of Twitter are numerous: between pop stars/influencers/snobs/guru/… who hardly follow nobody and networkers/technology scouts/… who follow a large number of accounts. 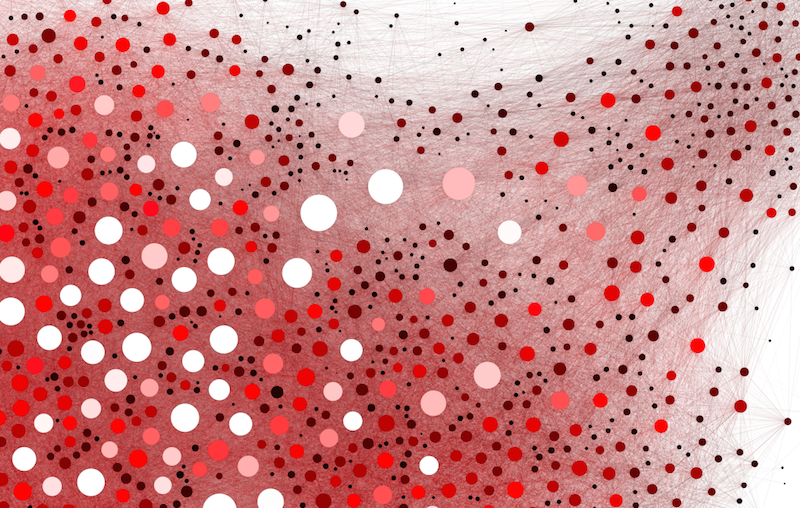 This Twitter list contains 1400 accounts manually identified as members of the “DH community”. The data analyzed here has been compiled on July 2nd 2015. This list is still growing, feel free to follow it (directly on Twitter), submit your own lists to complete it (by leaving a comment below), or to analyze yourself the content of the tweets posted by the list members. Such a list will never be complete, partly because digital humanities are a field in which actors do not always recognize themselves as a part, and partly because every DH scholar does not write in his Twitter bio that he’s practicing DH. That said, this list was also developed taking into account users who actively tweeted during several DH conferences in 2014 and 2015, as well as many lists of committees of national and international associations. This operation can enhance the “small world” appearance but also reveals how the community is structured by a small number of centralized influencers. We still have to discuss the European-centrism impact of the author of the list on the French and German speaking highly visible clusters. Are these “regions” of the community actually more highly agglomerated, or is it simply because these populations have been searched more completely? Acknowledgements: Many thanks to @orkkaphly for his precious help in data processing. 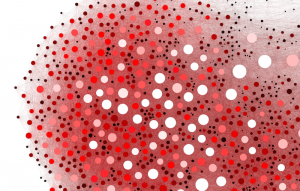 Visualizations with Gephi. Want to be added to the list ? We do something similar algorithmically and at scale. Excellent initiative! Digital Humanities are really on the map now. And I'm delighted that for once, DH activity in continental Europe has been registered thoroughly; it's not always easy to know about these DH tweeps, and we don't want to miss a thing! How could one get twitter data free for reaserch on business and networks for example? Hi, you have to create a "developer" account on Twitter and connect to the Twitter API (see documentation).